Getting it right pays off: 71% of users are more likely to make purchases from a brand they’ve had positive experiences with on social media. But “most people have to see a product or service 2-4 times on social before they purchase it,” according to research by Sprout. This means it’s imperative you have a strong and consistent social media strategy. To pull this off (without the help of a dedicated social media manager), you’re going to need a first-class social media management tool. Deciding on which social media management tool is best for you can be pretty difficult, particularly considering how many there are. Below, we’ve outlined some of the top providers that offer all the features you’ll need to get the job done right. Hootsuite is designed for the avid scheduler. This comprehensive tool not only allows users to schedule an unlimited amount of posts with every price plan, but also provides thorough analytics tools to help you make sure your campaign is working for you, not against you. For most of Hootsuite’s price plans, you’ll be able to get a 30-day free trial too, so you can make sure Hootsuite is the right fit for your social media management needs. If you’re just getting started, Buffer is the perfect tool for you. With an unbelievably easy-to-use interface, browser plug-ins for simple sharing, and over 4 million happy customers, it’s hard to deny Buffer’s status as a premier social media management tool. Plus, as one of the most transparent companies in the world, you know exactly what you’re getting from them, inside and out. They even offer a free version that allows you to schedule ten posts a day for three accounts, which is a great way to test it out before you buy. With marketing, sales, and service packages, you know that Hubspot has what it takes to make a difference for your company. While social media management is not their main product, Hubspot’s resources make their tools incredibly comprehensive and data-focused. You can request a demo free of charge on their website to guarantee their unique offerings make sense for your growing company. If you’re an advanced sharer of social media, IFTTT might be the best tool for you. The free, web-based service allows you to tether services like Facebook and Twitter together via “applets.” These chains of conditional statements can make it easy to, for example, tweet something and set off a domino effect of other social media posts. While this service is a little more complicated than other social media management tools, it can help you create a social media campaign that really hits home. Plus, it’s free. TweetDeck is a now Twitter-owned social media management tool that puts the power in your hands. In addition to the ability to schedule tweets, TweetDeck provides users with a full-on snapshot of their entire Twitter feed, which is always good for engagement in the long run. TweetDeck is also free, but only allows you to use Twitter. If you’re looking to improve your presence on this 280-character social media platform, go for it, but it’s best to avoid if you want to have a varied social media campaign. With a number of enterprise level options, Sprout Social is perfect for growing businesses. You’ll be able to schedule posts, comments, and responses en masse to make sure that your target audience is completely up to date with everything your company is doing. The free trial option is also available for Sprout Social, and also lasts 30 days; again, plenty of time to figure out if this social media management tool is right for you. Taking your social media management to new, unique levels can be pretty hard considering how long social media has been around. However, SocialOomph adds a little intrigue into social media marketing with a few extra features you won’t find anywhere else. In addition to allowing you to manage various social media accounts, it also lets you manage your blog from the same platform. Plus, you’ll have access to unique Twitter features, like automation and mass tweet deletion (which we all understand the value of at this point). If you’re looking for simple tool that checks off all the boxes, Zoho Social is the way to go. Between the simple setup, the ease of use, and the variety of basic features, you’ll be able to assign team roles, schedule content, and receive analytics to make sure your campaign is doing what it needs to do. While getting insight about things like the best time to post can be a bit difficult on Zoho Social, the tool’s other features make it worth choosing if you’re just starting off. You’ll be able to save time across the board and training will be a breeze, thanks to its simple interface. Getting a social media management tool that works for an entire company can get pretty expensive. However, there are affordable enterprise-level options, and SocialPilot is one of them. With reasonably priced monthly plans, you can tackle social media on your own time without breaking the bank. SocialPilot houses all the features you’d expect from a social media management tool, except for monitoring, which can be quite important. In other words, you’ll be able to schedule posts, but getting analytics on whether it worked will be a bit harder. But if you’re just looking to get your feet wet without spending too much money, SocialPilot has all the basic you need to get started. With a unique name and even more unique features, Quuu is the social media management tool you turn to when you’re looking for ideas of what to post. Its content suggestion tool makes it easy to find the right posts to share at the right time, so you can make the biggest impact based on specific categories that you choose. Quuu started out as just a content suggestion tool, but has added a number of social media management features, allowing you to schedule posts and get your message out there. Paired with another social media management tool, Quuu could really make a difference for your next campaign. Don’t let the fact that AgoraPulse is at the bottom of the list discourage you; this social media management tool is a great option for a solid price. At only $49 per month, AgoraPulse allows you to manage accounts on Twitter, Facebook, Instagram, LinkedIn, and Google Plus. You’ll get all the social media features you need to run a great campaign and a few extra. From scheduling and analytics to messaging management and social promotions, you’ll be able to make sure your content is getting in front of your target audience. Plus, the intuitive design means anyone will be able to use it with ease. While these tools provide the basics for setting up your company on a wide range of social platforms, the reality is that social media is a complicated monster. Keeping up with algorithms, scheduling posts for every hour of the day, and pushing out quality content is a full-time job, and the last thing you want to do is spend all your spare time trying to keep up. With social media management services, you’ll be able to hire a team of professionals that will truly manage your social media presence to guarantee you’re getting the results you need. They’ll post original content, collaborate with you on campaign angles, and provide in-depth reports to make sure you’re actually getting somewhere. So where can you find some of these services? Tech.Co can help. 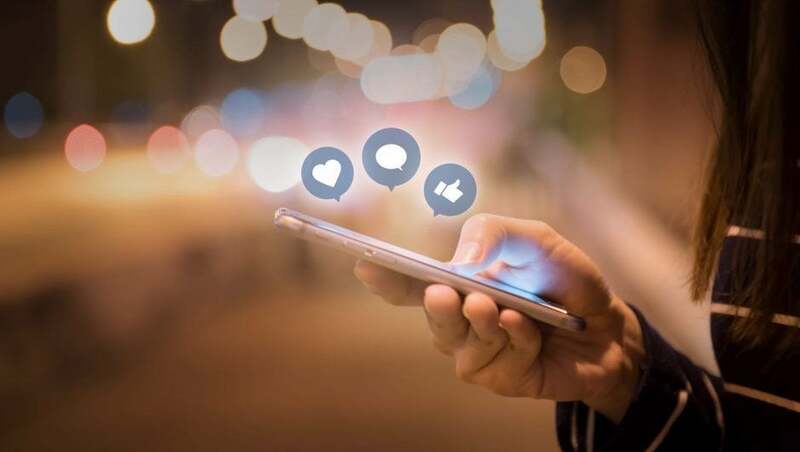 There are a wide range of professional social media management services to choose from, particularly when you have a nuanced campaign in mind. Whether you’re looking for elaborate analytical reports about how you can better inform your team, or just want someone to do all the posting for you, there are more than enough services to do it all. If you want to take social media management seriously, getting a quote will make all the difference. You’ll understand exactly how much they cost, what they can do, and why you need to pull the trigger now if you want to see the difference between a good social media presence and no social media presence. Want to up your social media game and boost your business today?